When the first dinosaur bone was described in 1676, it was thought to come from an elephant or perhaps a giant. Over a century later, scientists realised such fossils came from a creature they named Megalosaurus, portrayed as a sort of stocky, overgrown lizard. Then, in 1842, leading anatomist Richard Owen recognised Megalosaurus as part of a whole new group of animals, which he named Dinosauria, or “Terrible Lizards”. Since then, around 700 different dinosaur species have been described, with more found every month. Our ideas about dinosaurs have also changed radically. The dinosaurs we know today are very different from the ones in the books you may have read as a child. 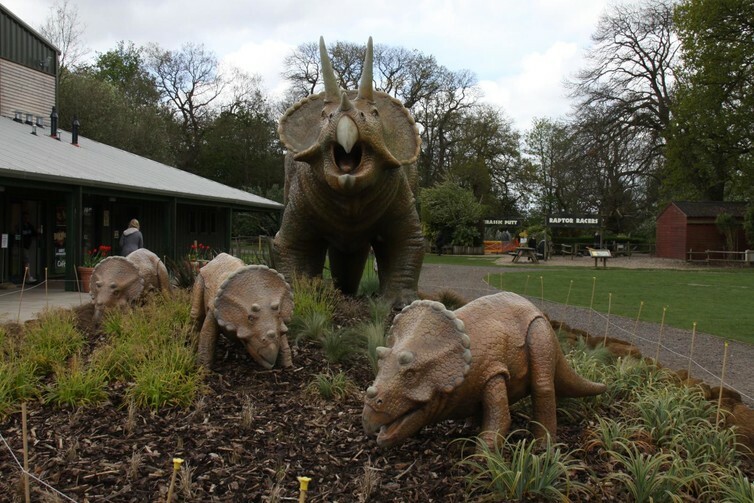 The name dinosaur tends to evoke images of giants – and certainly many were very large. Tyrannosaurus rex was around 12 metres long and weighed more than five tonnes, the size of an elephant, and it probably wasn’t even the biggest carnivore. Long-necked, plant-eating sauropods grew to titanic proportions. The enormous Argentinosaurus is known from just a few bones, but its size has been estimated at 30 metres in length and 80 tonnes in weight. That’s larger than any living land mammal and all but the largest whales. And dinosaurs are unique here. No other group of land animals before or since was able to grow as large. cat-sized raptor Hesperonychus, the rabbit-sized plant-eater Tianyulong, and the quail-sized insect-eater Parvicursor. The smaller species were probably more common than their giant cousins. It’s just that the massive bones of a T. rex are more likely to have been preserved and a lot easier to spot in the field. When dinosaurs were first discovered, it seemed obvious that because they were related to crocodiles and lizards, they must have been scaly. And many dinosaurs – including duckbills, horned dinosaurs, sauropods, and armoured dinosaurs – do preserve scale impressions. But in the 1970s, palaeontologists began wondering if some dinosaurs might have been feathered, like their bird relatives. This was considered wild speculation at the time, but in 1997 a small carnivorous dinosaur named Sinosauropteryx was found to be covered not with scales, but a soft, fuzzy down. Since then, feathers have been discovered on the plant-eating ornithopods, fanged heterodontosaurs, and many families of carnivorous dinosaurs including Tyrannosauridae- meaning that T. rex was probably covered in feathers, not scales. Early paintings of dinosaurs favoured a drab palette, with monotone animals dressed in depressing shades of grey, green, and brown. If the Mesozoic era really was that dreary, no wonder they went extinct. But in reality the colours would have been much more vibrant, even garish. Studies of dinosaur scales and feathers have revealed traces of melanin, the same pigment that lends colour to lizard scales, bird feathers and our hair. Analyses show that dinosaurs came in a wide variety of colours including black, white, and ginger. A few show-offs even had an iridescent sheen to their feathers. Not only that, but many dinosaurs were boldly patterned with spots and stripes, white bellies and dark backs. Some of these patterns probably evolved as camouflage, to help dinosaurs hide from predators and prey. But bright colours and conspicuous patterns would have served to draw the eye of potential mates, much like the tail of a peacock. Most reptiles simply bury their eggs and walk away, leaving their offspring to fend for themselves as best they can. This hands-off parenting is risky. A sea turtle must lay thousands of eggs over its lifespan to see a few grow up. Dinosaurs were once thought to use the same “lay ‘em and leave ‘em” strategy. We now know that’s wrong. Living dinosaur relatives – birds and crocodiles – guard their eggs and their young, so it’s a reasonable assumption that the dinosaurs did as well. And there’s now evidence of this. When expeditions to the Gobi Desert found a dinosaur atop a clutch of eggs, it was assumed to have died while plundering the nest. It was named Oviraptor, or “egg thief”. But then more skeletons were found atop clutches of eggs, sitting on them like brooding birds. It turns out Oviraptor didn’t eat eggs —- it was guarding them. Dinosaur extinction was long blamed on some failure of the dinosaurs themselves, a failure to adapt to the changing environment. In reality, dinosaurs were diverse for more than 100m years with fossils found in North and South America, Asia, Europe, Africa, and even Antarctica. Although some argue this diversity was in decline, the fossils show that dinosaurs remained widespread, common and diverse until 66m years ago, when an asteroid struck the Earth in what is now Mexico. Debris from the impact blocked out the sun and plunged the world into darkness. The disappearance of the dinosaurs wasn’t fated – it was a cosmic accident. If the asteroid had deviated by a fraction of a fraction of a degree, dinosaurs would still rule the planet – and we wouldn’t. The asteroid wiped out the dinosaurs, almost. T. rex, Triceratops and the rest disappeared, but a handful of small feathered dinosaurs, probably less than a dozen species, survived. 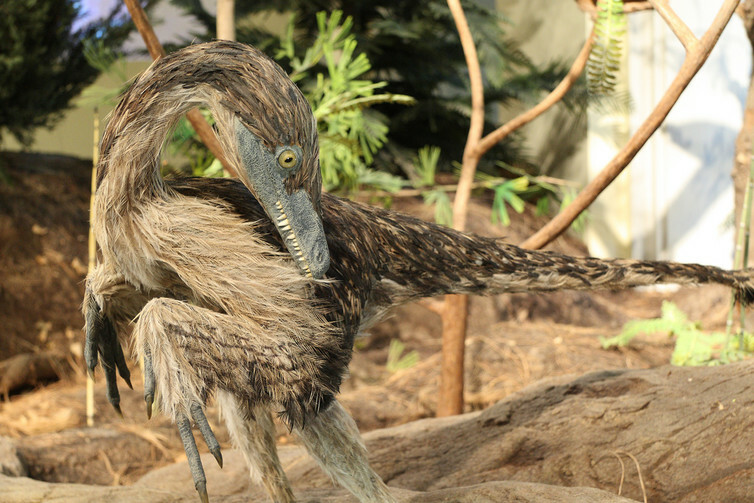 They were birds — small, flying cousins of T. rex and Velociraptor and the direct descendants of the carnivorous dinosaurs. And they not only survived but thrived, evolving into some ten thousand species of birds.